Áiseanna Tacaíochta (ÁT) is calling for a new approach to planning and investment which meaningfully improves the quality of life and opportunities open to people and families with disabilities. This follows disappointment at the concerning lack of measures which support or enhance circumstances for people and families with disabilities unveiled in Budget 2016’s €1.5 billion suite of tax cuts and spending increases, announced by Ministers Noonan and Howlin yesterday. Director of ÁT, Martin Naughton, remarked, “the Budget revealed yesterday weighs no palpable bearing on the reality of everyday living for the disability community. Alternative ways of planning and reviewing investment which fairly and profoundly support people and progress society must be identified and implemented. What was announced falls far short in compensating for the drastic cuts and complete lack of investment in the rights of people with disabilities over the past seven years. A new approach to planning is absolutely crucial to change this”. “It would be much more consequential”, he said, “to replace the Budget with a ‘State of Society’ analysis, which examines and compares Government action and spending from a social perspective on a yearly basis. Exploring the balance of society annually in this way would be much more revealing and would create true innovation”. Martin continued, “Budget 2016 has merely extended the status quo for people and families with disabilities in Ireland, revealing no real innovation or ambition to achieve Government’s own commitments to ensure community inclusion and Independent Living for people with disabilities. Economic and social recovery – much-cited in yesterday’s announcements – must reach everyone, but Budget 2016 failed to accomplish this: it is a significant missed opportunity for the disability community, clearly demonstrating the need for a change of direction”. While a number of the measures announced yesterday – such as the restoration of the Respite Carer’s Grant and increase to tax credits for home carers; the reintroduction of the 75% Christmas Bonus for social welfare recipients; the allocation of €8 million for child therapy services; and the additional €15 million to fully include children with disabilities in the Early Childhood Care and Education Scheme (ECCE) – will bear a positive impact, “this will be similiar to placing one small plaster on a deep cut”, Martin said. “Either we don’t understand the consequence of this cut, or we we’re too afraid to truly look at the extent of the injury we’re facing”. “Questions have to be asked. Budget 2015, for example, generated €1.5 billion more than was anticipated, proving that this is an exercise in predictions which, to a considerable extent, we have very little control over. That extra money is not working hard enough for the social good, and is leaving too many people and families untouched. The reality is that the living standards and prosperity of people and families with disabilities will see extremely little development as a result of yesterday’s announcements”. He pointed out how relatively straightforward decisions which would make a tangible difference in the lives of people with disabilities – such as the reinstatement of the Mobility Allowance and the Motorised Transport Grant, or the restoration of the Housing Adaptation Grant – have been markedly overlooked, while many of the employment and education programmes – such as Momentum – which received additional funding support remain closed to people with disabilities. More significantly, although the implementation of “improved models for providing care through de-congregation of institutional settings” was named as a key priority for disability services within the Budget, no new substantial funding for community-based care has been announced. A €300 million capital investment has been allocated for Health Service Executive (HSE)-run residential centres, but this serves only to maintain people with disabilities in their current, marginalised situation, rather than realising their rights to independence, freedom and equality or achieving Government policy. Martin concluded, “Budget 2016 represented a crucial opportunity to provide the resources, supports and funding models that can make Ireland the best place to live as a person with a disability; Government has abjectly failed to seize it. Instead of relying on a system of predictions and estimates, it must replace this with a new approach which listens to the voices of people with disabilities and our families. Proactive solutions to develop support services which empower us to live independently – and with dignity and choice – in our homes and local communities must become the reality”. For more information, please contact ÁT on 01 525 0707 or email info@theatnetwork.com, or you can get in touch with Martin Naughton directly on 086 820 7196. 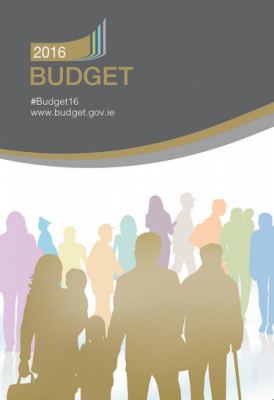 To read the key Budget 2016 measures which will impact on people and families with disabilities, please click here.